Gold prices rose by Rs. 200 to Rs. 30,950 per 10 grams at the bullion market today. bullion market today. 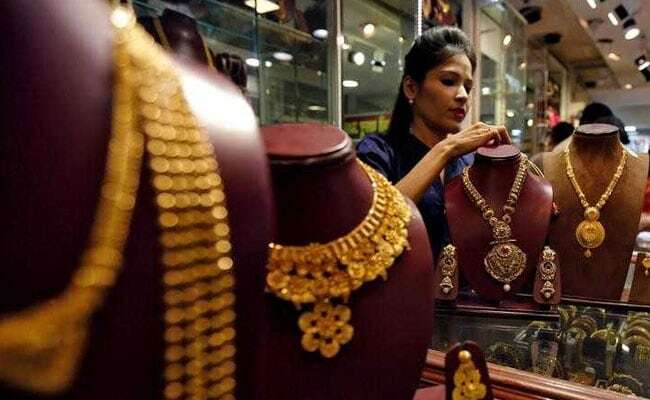 A firm trend overseas and pickup in wedding season buying by local jewellers and retailers lifted the domestic price of gold. Silver also rallied by Rs. 300 to trade above the Rs. 40,000 per kg level on increased offtake by industrial units and coin makers. Globally, gold prices touched their highest in more than four months on Monday, buoyed by a weaker US dollar, which slumped to three-year lows against a basket of currencies. 1) The dollar index hit a low of 90.622, its worst since January 2015. The dollar Index is a measure of the value of the US dollar relative to a basket of foreign currencies. A weaker greenback makes dollar-denominated commodities cheaper for buyers in other currencies. When the dollar weakens against other major currencies, the prices of commodities like gold typically move higher. 2) Spot gold globally was up 0.3 per cent at $1,342.50 an ounce by 0718 GMT after touching its strongest since September 8 at $1,344.44. Adding to the bullishness about gold, data from US Commodity Futures Trading Commission (CFTC) on Friday showed that hedge funds and money managers raised their net long positions in COMEX gold and silver contracts in the week to January 9. 3) Besides, a pickup in buying by local jewellers to meet wedding season demand at domestic spot market also supported the uptick, they said. 4) In the national capital, gold of 99.9 per cent and 99.5 per cent purity rallied by Rs. 200 each to Rs. 30,950 and Rs. 30,800 per 10 grams, respectively. The precious metal had gained Rs. 275 in the previous three days. Sovereign too gained Rs. 50 to trade at Rs. 24,750 per piece of eight grams. 5) Silver ready prices also went up by Rs. 300 to Rs. 40,200 per kg and weekly-based delivery by Rs. 460 to Rs. 39,580 per kg. Silver coins however remained unaltered at Rs. 74,000 for buying and Rs. 75,000 for selling of 100 pieces.